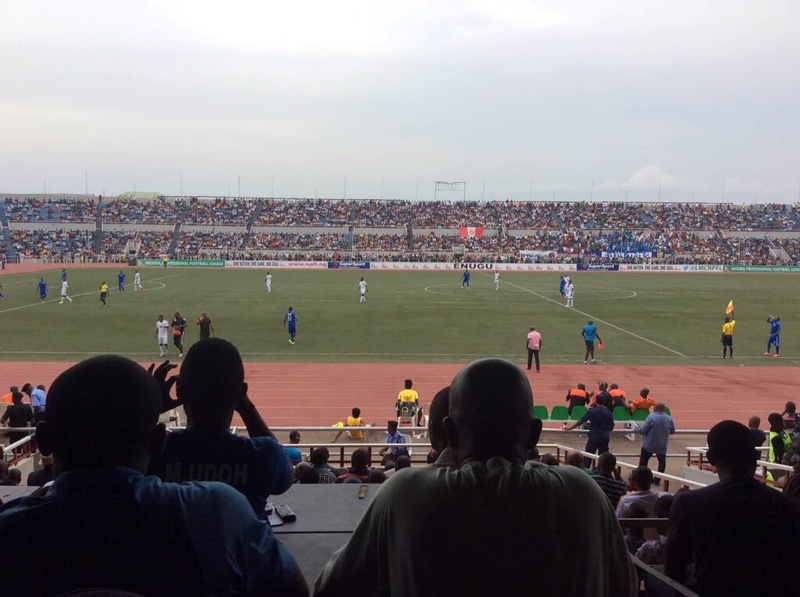 Rangers 2-1 Enyimba: We crumble in Enugu. The most painful part of being ‘thatenyimbafan’ is authoring the blog after a defeat. Knowing it is more difficult and indeed more painful blogging the morning after, I sometimes rather prefer blogging the same day after a loss or poor result. Some bloggers like soccergunz.com prefer the morning after, mine is better at night. Moreover you want to wake up not burdened by the toughest challenge ever- how to make sense of a defeat. First of all, our defeats nowadays birth all kinds of reactions from our fans. They get to say whatever they want to say, hurl insults at anyone they want to, funny thing is, they’ll be back supporting the club by midweek. Yes we lost to 2-1 Rangers in Enugu but for those who didn’t see the game live, however could you tell this was one game we did just about enough to not even draw but win? We took the lead against them of course against the run of play but shortly after we did, we had a strong penalty shout. Osadiaye was brought down in the area and a chance take the game to 2-0 but well the referee bottled it. That’s football! Calls may or may not go for you. That doesn’t excuse the fact that we threw away a goal lead and we didn’t find the equalizer in all of the second period. But you would wonder if we had we gone 2-0 in Enugu, wouldn’t this game have taken a different outlook? Football hinges on such little details. But then it didn’t and well they had a chance to bounce back. That they did with two well taken goals. We tried to get back in the game but it wouldn’t be. 2-1 it was and we leave Enugu empty handed. It’s tough for us in that we have yet to get a point anywhere away from home this season but on the basis of our performance today, I don’t think we are not too far behind. In truth, it has been a steep learning curve for the team right now but on the back of this defeat we can take solace in our efforts especially the second half and see the positives one of which is that we are looking better and we keep getting better. The alternative is to whine and complain and feel sorry for ourselves. Make your choice. As I sit here tonight I know just one thing- this season is just going to be a transition season for us, we may not win the title. We have brought in a lot of players, we are working on our turf, we have a new manager who is looking to get us playing and it surely would take a while before things get flying our way. We knew the mistakes we made at the start of the season but we will have to live with the consequences because there’s no button anywhere anyone can push to reset this season. We will have to keep working hard and focus on having the players live up to the billing. The problem of course is that the stability and rediscovering our touch might take a while longer which might allow other teams to establish an unassailable lead but that’s OK. As long as we keep up with what we have to do, and stay focused on it, that’s fine. This is not the time to slate or insult anyone but to inspire ourselves to try to keep working on till we arrive where we should be and guess what? It can only come by everyone having their head in the right place and play ripe ourselves to contention. We sit in 18th with 4 games to play to catch up. You know who is coming to town on Wednesday? That’s right, Coach Kadiri Ikhana and his Shooting Stars side. There’s really no time to cry over this poor result. We must act matured and seek to improve things in the games ahead. That’s the least we owe ourselves. Next postConversations and time for some self education.